These are the two words that every mum planning for a large family in tow for travels can associate themselves with. It is never easy to get everything planned and off your “travel to-do list” with a large family. Every single process needs to be repeated as many times as the number of family members you have. Planning for a trip for a large family starts off everything from choosing the perfect destination, to what should the travel plans be, where is the best place for accommodation to transportation once you’re there. Well of course not to mention packing for everyone and all this adds up to a lot of very very hard work! Vacationing with a large family usually means that there are many different aged kids and elders traveling with you. With the different age groups all travelling together, it is very important to ensure that the travel plans are made way ahead – maybe even 6 months to a year ahead at times. There are 2 very important aspects when we are travelling in a large family with kids. The accommodation has to be kids and family friendly. This will save yourself a lot of stress. Apart from the standard family rooms or family suites that’s available, these days there are many hotel chains that provide such services – from kids check in counter, themed kids’ rooms, customised games set up, kids friendly food menu at the hotel restaurants and even their very own VIP kids club. These are very important features for the kids as it will make them occupied and most importantly happy! Every mum out there knows that a happy kid = a good holiday = enjoyable trip and ultimately happy parents! We at MaxiCABooking SG will be able to assist and take your stress away on this. Our customer support team will be able to assist you with the best accommodation to suit your needs and your budget. As much as we hate to say this but the challenge does not stop there. Being on the road with them is the next hurdle. Travelling in a foreign country means that you would want the whole family to be together in one vehicle. At MaxiCABooking SG, we have different fleets to solve your problems – ranging from the our 7 seaters maxicab up to our 9 and 13 seater minibus which can easily accommodate up to 13 people all together in one vehicle. These range of fleets will also come with an additional space for keeping luggage and other belongings – making it the definite and chosen most ideal vehicle and people’s choice for traveling with large family. The space available in these fleets will also ensure that the kids and elderly are comfortable. They will be able to have enough leg rest and will be able to travel in comfort. Imagine doing your whole day city tour with no kids crying or whining halfway, what can be better that that?! All you have to do is to reach out to us to start the enquiry process and assist you in planning for a fuss and stress free holiday. Our customer support team are available up to 15 hours daily and most importantly they are just a call / whatsapp or email away to assist you. We at MaxiCABooking SG am looking forward to be of service to you. 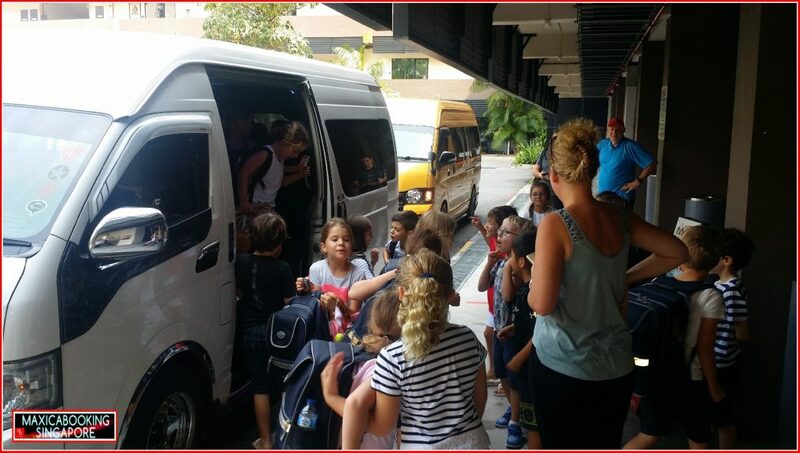 This entry was posted in maxi cab and tagged 6 seater maxi cab, maxi cab, maxi cab 13 seater, maxi cab 7 seater, maxi cab 9 seater, maxi cab hire, maxi cab hotline, maxi cab in singapore, maxi cab services singapore, party bus for kids birthday, singapore party bus. Bookmark the permalink.